This patient attended our practice wanting to improve the appearance of her smile. Our Dentist Jasmin, prescribed an Opalesence at home whitening kit, which the patient used for 4 weeks to improve the shade of her teeth. 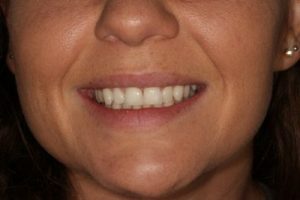 Once happy with the shade, Jasmin then used a white composite filling material to improve the shape of the upper front teeth. 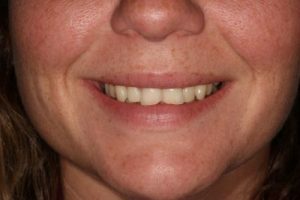 If you would like to improve the appearance of your smile, contact us today!